Free market-oriented individuals and policy makers, liberty-oriented NGO and think tank leaders, bloggers and writers, there is a great opportunity to meet up with each other from halfway the globe. The 4th Pacific Rim Policy Exchange (http://www.pacrimpolicyexchange.com/) will be held in Sydney, Australia, this coming September 28-30, 2010. It will be sponsored by 4 think tanks, 3 from the US -- Americans for Tax Reforms (ATR, www.atr.org), Property Rights Alliance (PRA, www.propertyrightslliance.org), and Heartland Institute (www.heartland.org) -- and one from Australia, Institute for Policy Analysis (IPA, www.ipa.org.au). 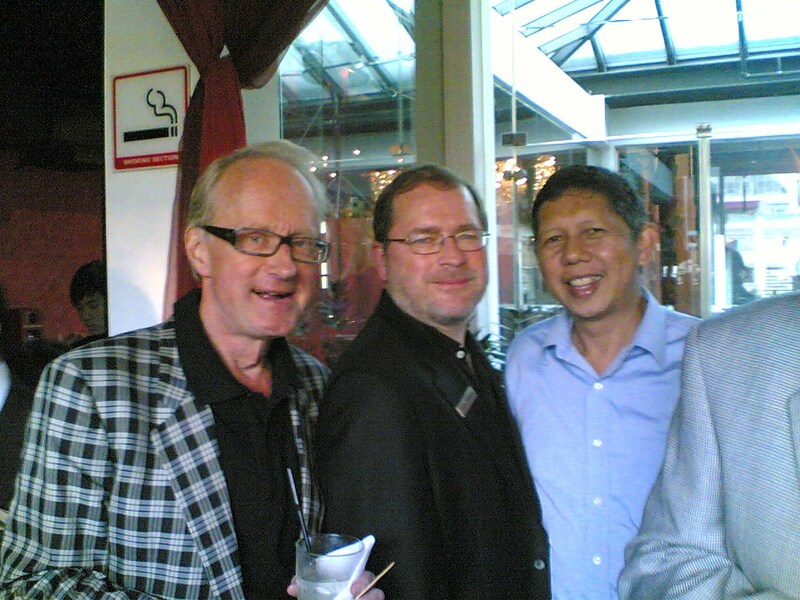 It is called "Pacific Rim Policy Exchange" because it is a major conference and sharing of ideas, observations and experiences among free market leaders and intellectuals from East Pacific (North and South America), the South (Australia-New Zealand) and West Pacific (North and South East Asia), plus other Asian countries. A number of known free market-oriented intellectuals have confirmed to become speakers. The 3rd Policy Exchange was held in mid-October 2009 in Singapore. Attendance was less than a hundred people, but the quality of exchanges and discussion papers was high. 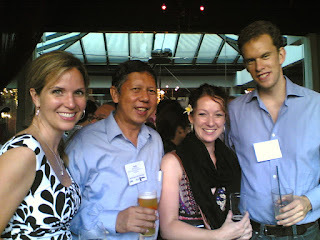 Picture here shows from left to right, Kate Donner of Donner Foundation, the events organizer; me; Kelsey Zahourek of PRA, and Alec van Gelder of the International Policy Network-London (IPN, www.policynetwork.net). 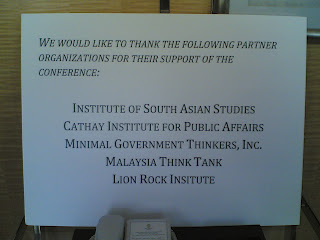 IPN was one of the 5 sponsoring think tanks of the event in Singapore. The World Taxpayers Association (WTA, www.worldtaxpayers.org) was another co-sponsor of the event last year. Picture here from the left, Bjorn Tarras-Wahlberg, WTA Sec-Gen., Grover Norquist of the ATR and me. ATR has been the consistent and important sponsor of the Policy Exchange since it was started in 2007 in Honolulu, then in 2008 in Hong Kong. 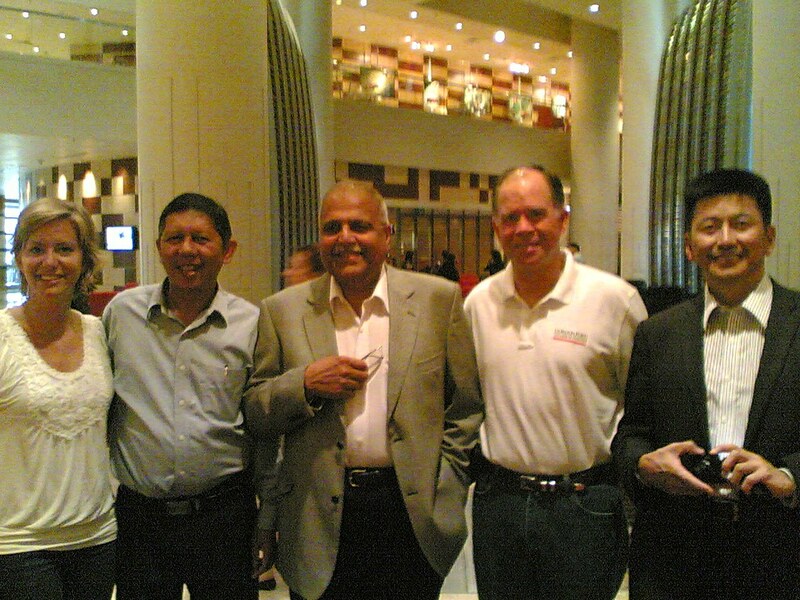 Also among the participants and speakers last year, from left, were Ms. Jamie Story of Grassroot Institute Hawaii, Jaya Naidu from Australia, Chris Derry of Bluegrass Institute, Kentucky, and Jargal Dambadarjaa of the Mongolians for Fair Taxes and Wise Spending (FTWS). 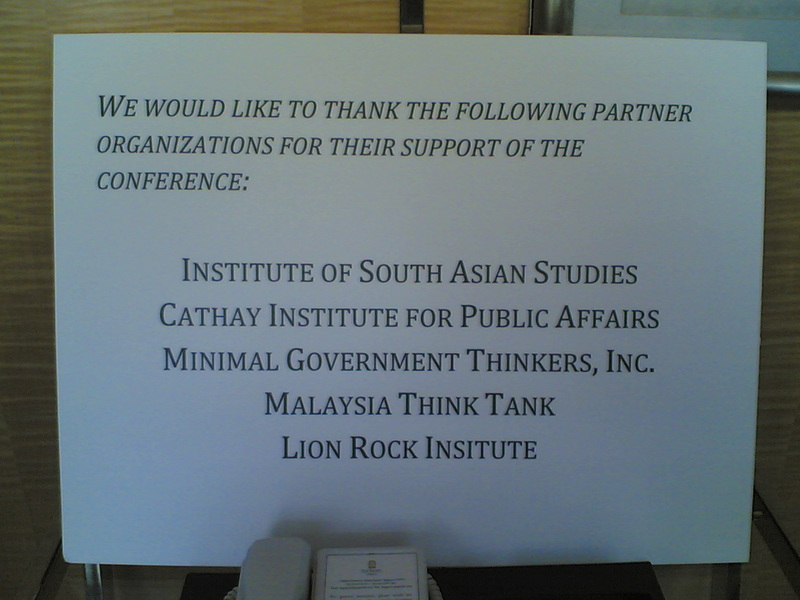 MG Thinkers was among the minor sponsors of the event, helping the major sponsors advertise the event to its network. In this age of ever-rising government intervention, regulation and taxation, the battle to preserve individual freedom is a continuing challenge. Individual freedom cannot and should not be subsumed always under national and (forced) collective freedom. There are certain individual rights that run contrary to "collective rights". For instance, the right to self-expression by an individual is paramount to the State's "right to censor" diverging opinions. The right to keep more of an individual's monthly income runs counter to the State's penchant to confiscate as much income as possible from the toil of the hard-working people.